Gauteng hosts nine million people and is divided into six regions Tshwane (Pretoria), Ekurhuleni (Johannesburg), Metsweding (Cullinan) and Sedibeng (Vaal). The name Gauteng is derived from the Sotho word meaning "Place of Gold." Pretoria is the administrative capital of South Africa and hosts the national government, trade offices, innovation and research institutes and more than a hundred embassies. 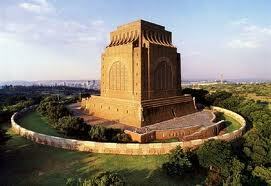 Pretoria city name honours the Voortrekker leader Andries Pretorius. The monuments and grandiose official buildings, some dating back to the 19th century, are softened by Pretoria's many parks and gardens. 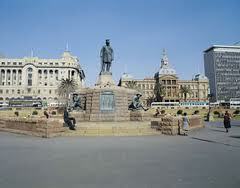 In the heart of Pretoria city is Church Square with the statue of Paul Kruger, Church Square was the hub of the early Pretoria. Here ox-wagons from the country were out spanned (unyoked), and here the city's first shops opened, clustered around the square are several historic buildings built in the late 1880s and 1890s. Union Buildings designed by the celebrated architect Herbert Baker and completed in 1913, they become an iconic landmark of Pretoria and South Africa in general, and is one of the most popular tourist magnificent crescent shaped red sandstone edifice looks over Pretoria city. 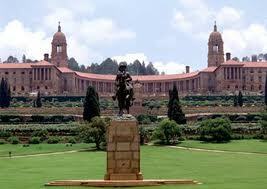 The Union Buildings has attractions in the city and an emblem of democracy. 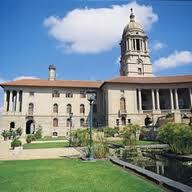 Pretoria has no shortage of accommodation hotels, guesthouses, B&B'sand backpacker lodges. The nearest airport will be OR Tambo Airport (international and domestic flights) which is some 50km away from Pretoria. Lanseria Airport (Domestic flights) is some 60km away from Pretoria. Pretoria is known as the Jacaranda City, each spring the flowers of the jacaranda trees add splashes of deep lilac to the streets. 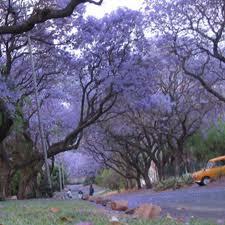 Some 70,000 jacaranda trees were imported from Rio de Janeiro in the 1888. 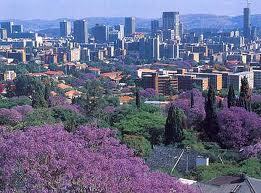 Pretoria is 1370 m above sea level and has a warmer and more humid climate than Johannesburg. Pretoria's climate temperatures from October to May is an average of 16*C to 29*C (extremes 35*C)and June to September average temperatures of 3*C to 20*C. Pretoria has summer rain falls from November into March with thunder storms accompanied by a great deal of noise and fierce flashes of lighting.